The pearl is the June birthstone! 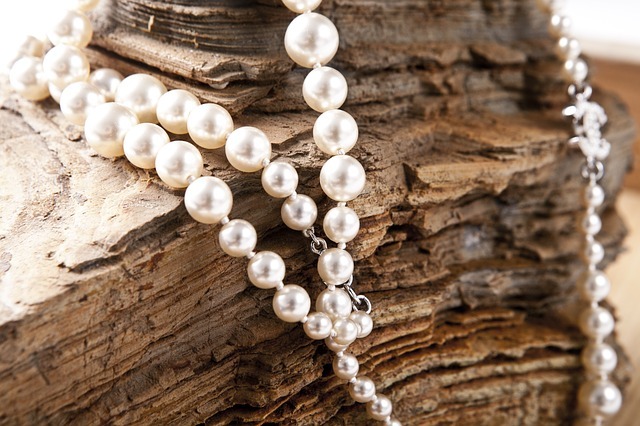 Pearls are so awesome because they are organic, formed by the oyster, from a grain of sand or other irritant. Genuine pearls are very rare and are not found very often anymore. 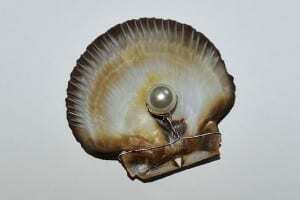 Pearls are cultured by introducing a bead or piece of mantle-tissue into a mollusk, being lowered into the water in cages and monitored for approximately four years. Cultured pearls form just as natural pearls do, i.e., layers of nacre form around the irritant. The main physical difference in the finished pearl is the size of the nucleus. The nucleus of a cultured pearl is considerably larger than that of a natural pearl and can be separated by x-ray. At one time, pearl was considered a royal gem, and rightfully so. Some of our early ancestors believed that a drop of dew falling into the sea was caught by an open mollusk and formed into a pearl. When the weather was poor, a dark pearl formed and when the weather was good, a lovely light pearl formed. There are many different shapes of cultured pearls. They can be round, baroque, oval and many other shapes and sizes. Pearls also come in a variety of colors; pink pearls, cream pearls, white pearls, silver pearls, black pearls, brown pearls and many have different colors of overtones. Pearls go with everything! No matter what you are wearing, you can throw on a strand of pearls and it looks great and you are right in style. Every woman needs pearls to complete their jewelry collection. 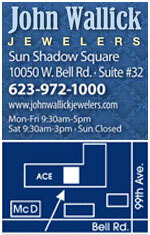 Choose from pearl pendants, pearl earrings and pearl strands. Learn more about the pearl. 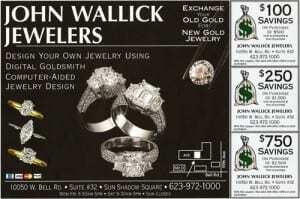 Stop by John Wallick Jewelers today to experience our large selection of cultured pearls. We have pearls in stock in every price range to fit your budget.